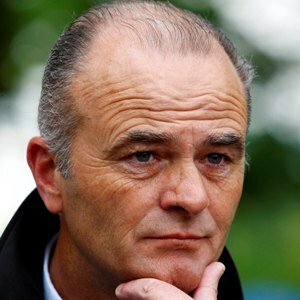 Edward Lynam first took out a licence to train in 1984, having previously split his time running a building firm and learning how to train racehorses under the watchful eye of Jim Bolger. He registered the first major success of his training career when Tantum Ergo landed the Group 3 C L Weld Park Stakes at the now defunct Phoenix Park racecourse in Dublin in 1988. After several solid seasons in Ireland, Lynam gained international recognition with his talented performer Duff, who scored in the Group 2 Park Stakes at Doncaster in September 2008, and went on to represent his trainer in the Hong Kong Mile in Sha Tin the following year. Lynam enjoyed a first Group 1 win at York in August 2010 when Sole Power triumphed in the Coolmore Nunthorpe Stakes at odds of 100-1. The sprinter confirmed that success was no fluke with victory the betfred.com Temple Stakes at Haydock in 2011, the first sprint race in the inaugural QIPCO British Champions Series. He finished second to Bated Breath in the same race a year later and subsequently ran third to Little Bridge in the King’s Stand Stakes at Royal Ascot, making up for that in no uncertain fashion in 2013 when getting up close home to win King’s Stand thanks to a storming late run inside the final furlong. Sole Power went on be third in the Coolmore Nunthorpe Stakes, while his improving stable companion, Slade Power, was third in the Darley July Cup and runner-up in the Betfred Sprint Cup before winning the QIPCO British Champions Sprint at Ascot on QIPCO British Champions Day. In 2014 he saddled Sole Power to win another King’s Stand Stakes, something which has not happened since the 1930s, and then was represented by Slade Power in the Diamond Jubilee who stormed to victory, enabling him to pull off a remarkable Group 1 sprint double. He also won the Queen Mary with two-year-old Anthem Alexander. In the Darley July Cup, Slade Power prevailed again, stamping himself as the best sprinter in Europe and maybe the world and in the Coolmore Nunthorpe Stakes Sole Power won again. Slade Power was retired at the end of 2014 but Sole Power continued to run with distinction in 2015, albeit not being able to land a Series win.